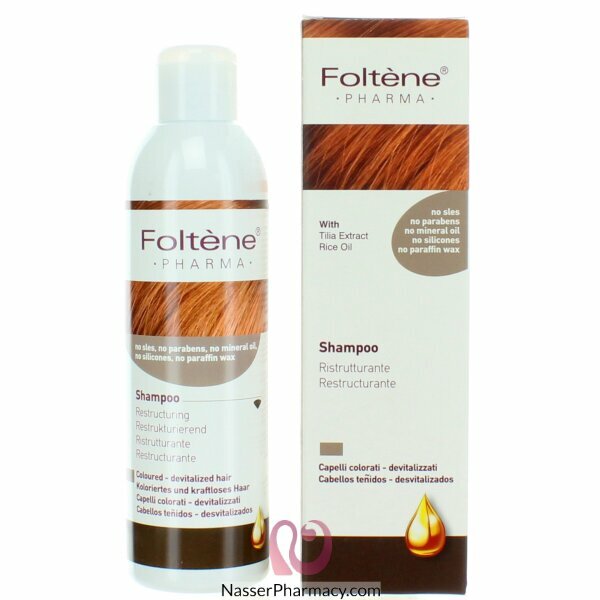 Foltène PHARMA Restructuring Shampoo deeply repairs and restructures hair damaged by colouring, ironing, pollution, sun, stress, etc. TILIA EXTRACT: restores the natural protective film helping the hair shaft regain its correct moisture level. RICE OIL: rich in vitamins and ­-Oryzanol, strengthens, deeply nourishes and protects the hair throughout its length.